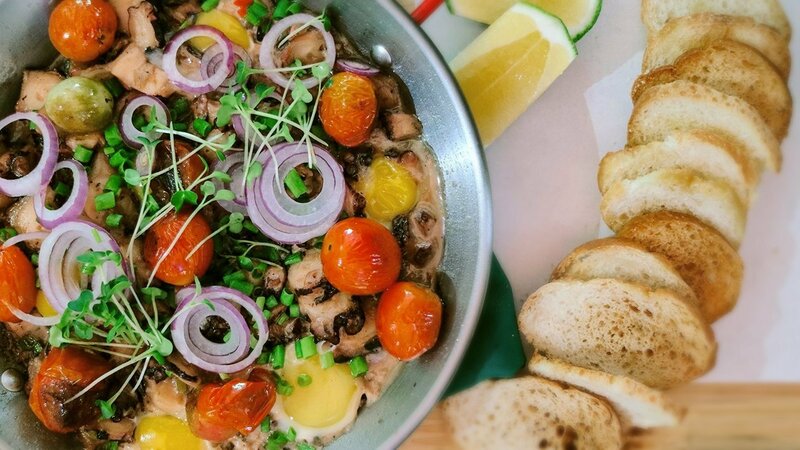 A whole new texture and take on Filipino Sisig. Pour the coconut milk, Knorr Liquid Seasoning, salt and black pepper. Add the finger chili and siling labuyo then simmer for 2-3 minutes. Pour the octopus sisig in the hot plate then add the raw quail eggs, cherry tomatoes. Sprinkle with spring onion and fried garlic. Garnish with a dayap wedge. Serve immediately.